Vacation should be a time of taking a break from daily life, relieving stress, and spending time with loved ones. Sadly, mishaps such as robbery, flood damage, or other natural disasters can happen while you’re away. Families need to make sure that their homes are secure before they leave for vacation. This will ensure that they’ll return to a home in the same condition as when they left. Why are individuals more likely to have their homes victimized in the summer as opposed to spring, winter, or fall? Well, since families tend to take their vacations during the summer months, there are many empty homes in the neighborhood which make them more susceptible to burglary. Securing your home while on vacation can reduce the chances of your home becoming victimized in the summertime. Use lights. Set timers for lights inside and outside of your home. When a burglar sees a home with lights on inside, of even on the back porch, they will naturally think that somebody is home. Don’t post on social media. Save your posts on Facebook, Instagram, or other social networking sites until after you’ve returned home from your vacation. You never know who will see your post that will use it as an opportunity for theft. Remove hidden keys. Take that key out from under the mat or wherever else you may keep your spare keys concealed outside of your home. Get a house sitter. Ask a trusted individual to “watch” your home while you are away for vacation. Have them get your mail each day so that a burglar thinks you are home getting it for yourself. Get an alarm. Implementing a security system into your home will help you feel more comfortable about leaving your home for vacation. Some systems automatically call the police if the alarm were to be set off. Secure valuables. Use safe deposit boxes, safes, or other storage appliances that lock. Use these to store all important valuables to ensure their safety while you’re away. Put them in a hidden location within the home. Make sure everything is locked. Double check that all doors, windows, and garage doors are locked from every entering point to your home before you leave for vacation. Flood Damage — According to the Federal Emergency Management Agency (FEMA), any home can be affected by flooding. “Every home is vulnerable to flooding. 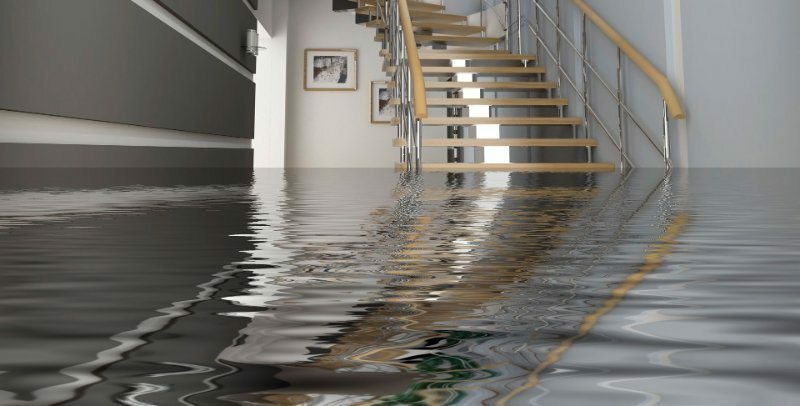 Just an inch of water can cause thousands of dollars’ worth of damage.” Even if you do not live by water, other factors can contribute to flooding during even the summer months. Get flood insurance. Homeowners insurance does not include coverage for flood damage. The average flood policy only costs around $600 per year, so the investment is well worth it. Install a sump pump. These pumps remove the water from your basement and channel it into a storm drain or dry well. These help to minimize flood damage from an external force such as a natural disaster. Purchase flood sensors. Flood sensors are put in various places throughout your home and alert you when water is detected in a place that it shouldn’t be. These sensors will help you respond to the flooding before serious damage occurs. Get an automated shutoff valve. Place this near the primary water inlet in your home, and once a flood sensor is activated, it will automatically turn off the main water supply. Internal Damage — Problems within the home can result in flooding, such as a water heater breakage or leak. Check your water heater. Before you leave for vacation, answer the following questions: Is your water heater too old? Is there water around your water heater? Are you discovering rusty water? Make sure that your water heater is up-to-date to prevent flooding. Elevate appliances. Make sure your washer, dryer, water heater, and furnace are at least one foot off of the ground. Either elevate them by using cement blocks or cement pedestals. Check for leaks under sinks, around toilets and outdoor spigots. If you have issues with leaks under the sink or elsewhere in your home there’s no telling what might happen when you’re away. Deal with them beforehand to avoid several days of leakage causing damage to your home. Other Natural Disasters — From floods and hurricanes to tornadoes and earthquakes, natural disasters can affect any home regardless of geographical location. For example, according to the Federal Emergency Management Agency (FEMA), the damage from Hurricane Katrina is at an estimated $108 billion. This just goes to show how incredibly costly a natural disaster can be to a community, let alone a single family’s home. Make sure that you are prepared for which natural disasters are likely in your area while you are away during the summer months. The Internal Displacement Monitoring Center, a humanitarian organization that studies displacement, released that, “Since 2008, an average of 26.4 million people per year have been displaced from their homes by disasters brought on by natural hazards. This is the equivalent to one person being displaced every second.” It is essential to understand the natural disaster likelihood in your area, as well as the best ways to adapt to them. Determine what is likely to affect your home given your location. If you have been living in your area for a long time, you know what types of natural disasters your home is most susceptible to. If not, get to know your region so that you can better prepare for natural disasters. Check the forecast. Before you leave for vacation, see if there is any severe weather predicted for your time away. Then, adjust to the predicted weather accordingly. Use hurricane straps. Place hurricane straps onto your roof to secure it during hurricane storms. Hurricane straps are designed to resist strong winds by connecting to the tops of the structure. Install Earthquake straps and other kits. Earthquake stabilization kits are available for your home and are highly recommended if you live near a fault zone. Purchase storm shutters. Storm shutters protect your windows from breaking due to flying debris in the time of a severe weather situation. Check Your Insurance. Does your insurance cover damage from weather events that are likely to occur in your area? Make sure it does because no amount of preparedness can defend your home from certain superstorm events. Contact a home inspector. If you know that there will be cases of extreme weather while you are on vacation, contact a qualified licensed home inspector to ask their advice for your home’s unique situation. Your home is vulnerable to robberies, flood damage, and other natural disasters while you are away from home. Be proactive by evaluating the current situation of your home and expected weather conditions before leaving on vacation so that you can adapt to what’s ahead. By implementing these tips into your pre-vacation routine, your home will be more secure and your mind can be at ease.